Photographs of Trayvon Martin's body after the shooting will remain sealed. 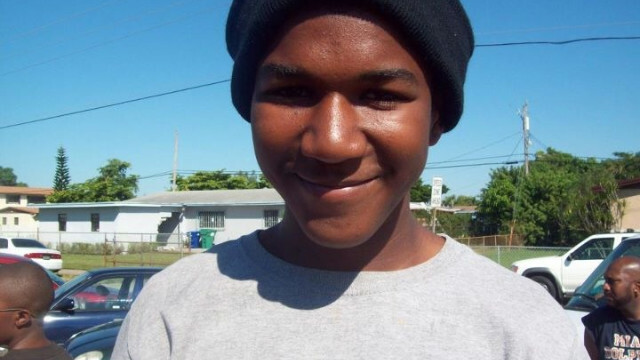 (CNN) - A judge has ordered the release of additional evidence in the Trayvon Martin case, including an autopsy report, photographs of the crime scene and details of what George Zimmerman said to police the night he shot the Florida teen. Attorneys for Zimmerman had argued that his conversations with Sanford, Florida, police the night of the February 26 shooting should not be made public under a state law dealing with "the substance of a confession of a person arrested," but Circuit Judge Kenneth R. Lester Jr. ruled Tuesday that the law did not apply. "The only element conceded by the defendant is that he shot and killed the victim, but he does not concede any other elements of second-degree murder. ... Since the defendant admitted at his bond hearing that he shot the victim, disclosure of those statements will not impact the defendant's right to a fair trial," Lester said in a written order. His ruling was in response to media requests for the release of more information in the case. Hey Media: I'm tired of seeing these pics of a 'lil boy. Let's see some pics of his tatoos – oh, yeah, that 6' 160 pound 17 yo man had 'em alright! I do find “ultimately avoidable” in the relevant Florida homicide statute, 782.04(2), or associated standard jury instruction 7.4 so I don’t think that will get past the judge. It's a good thing that Zimmerman used his rights to beaer arms and rights to self defense to shoot this man who had punced on top of him and was beating his head against the sidewalk. If not, we would have had a non-news story of a BLACK MAN beating a HISPANIC MAN to death. But instead, we get a story of a WHITE MAN shooting a BLACK BOY in cold blood. The media in this country is terrible. First of all George Zimmerman approached Trayvon Martin. All he had to do was stay in his car and listen to what the police told him. Also he identifies as a WHITE HISPANIC. Regardless the judicial system does not do justice to Black people in this country. It is hard to understand if you have never had an issue due to the color of your skin. George Zimmerman was the aggressor in this situation and he shot and killed someone who he initially attacked. Every recording and the positioning information suggests that GZ followed the dispatcher's instructions once they said, "We don't need you to do that." Additionally, even if he didn't, getting out of your car is not illegal, following someone is not illegal, walking up to someone is not illegal, and asking someone a question is not illegal. Unless he was brandishing his weapon (which the prosecution would need to prove, not the other way around, and seems unlikely he would be doing so), nothing he did would count as illegal. He technically wouldn't have even had to conceal his weapon as far as I know, since open carry is perfectly legal. GZ would have to physically attack TM or brandish his firearm threateningly for him to be considered the aggressor, and as this is a criminal trial, and GZ is the defendent, the prosecution has to prove beyond a reasonable doubt that he did this, otherwise Murder 2 will never stick, and even Manslaughter will be tough to prove. @joe The Paul Rodriguez case is no where similar to the TM case. I don't feel GZ is "innocent" I just don't think he is guilty of murder. H nice analysis, exactly Zimmerman is just like this clown they just convicted in Houston a walking menace time bomb that eventually killed someone after years of running around with a weapon in public with his CHL license. No person has the right to bring a gun and provoke an altercation and shoot someone in an incident they started!!!!!!!!!!!!!!!! That is no different than Murder during a robbery. In addition Zimmerman already confessed to the homcide, it is Zimmerman's lawyer that has to assert a self defense in court!!!!!!!!!!!!!!! The defendent has already confessed to shooting the kid, so it's a slam dunk. The prosecutor has to PROVE he is guilty.. he does not have to prove anything Joe. Like the rest of the circus- he wanted it played out in court. The important part is Martin was on top the gun was fired he died.. The prosecutor want Zim in jail now to show he did SOME time. He will walk out free. It is sad that Martin is dead- but I think no law was broken. both MEN (please don't look at martin as a 12 boy- he was a man) used horrible judgement- but that is not a crime. Exactly.This is a person who is not a responsible gun owner who created a situation where had to use his gun. He is dangeous because he has such poor judgement. I am sure he would have hurt or killed some one else if he hadnot killed this kid becaue he clearly perceives what is threatening in a bizarre way. I wonder why, if he is so innocent their hiding anything????????????? ?